Hello to all Instagram lovers! Even if you are indifferent to this social media, once you read my article, you will love this social platform. If you are a business owner, trust my words – every business needs Instagram, including you. It is a powerful platform that looks nothing like it was several years ago. Today Instagram is the most dynamic and fast-growing social network in the world. According to Socialbakers Data statistics (March-September 2017), the Instagram posts have six times more interactions per reach than Facebook. Moreover, over 80% of Instagram profiles have better organic reach per audience than Facebook profiles. Unexpected, huh? 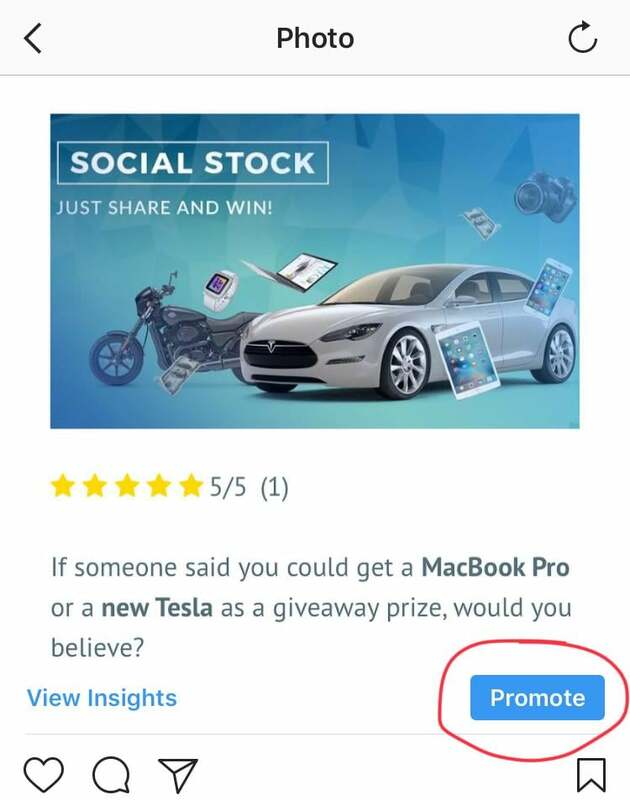 And now, with a launch of new (at that time) business features back in June 2016, companies got access to a powerful business promo instrument. If you to want to boost your brand, increase sales, lead numerous marketing campaigns and do much more, welcome to Instagram, bud! In this article, I will tell how business profiles differ from regular accounts. But most importantly, I’ll tell you how to create and manage your own business account. So, let’s get it started. Step #1: Open your Instagram app on your smartphone or another electronic gadget. This is how your profile should look like now. 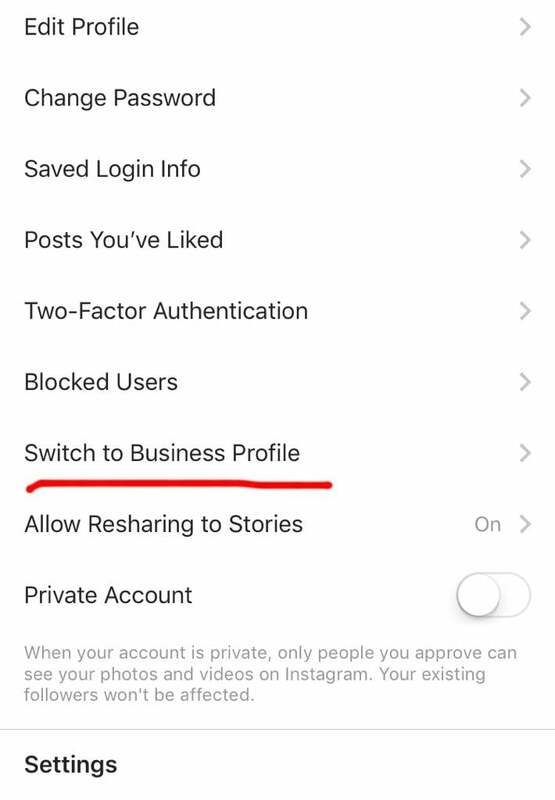 Click the ‘Options’ button (the circle right from the ‘Edit Profile’ button) and select the option “Switch to Business Profile”. Step #2: As soon as Instagram greets you in the Business Tools section, click ‘Continue’. Then click ‘Choose page’. If you already installed Facebook App on your phone and have your Facebook business page created, you will be offered to select one. 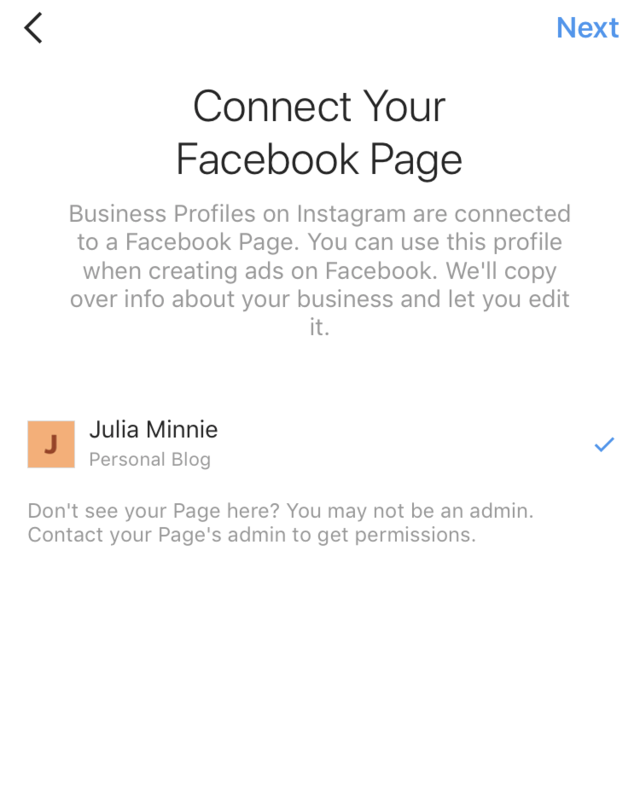 But if you still do not have a Facebook business page, you can create one on Instagram immediately. You DO NOT have to fill in all three sections. 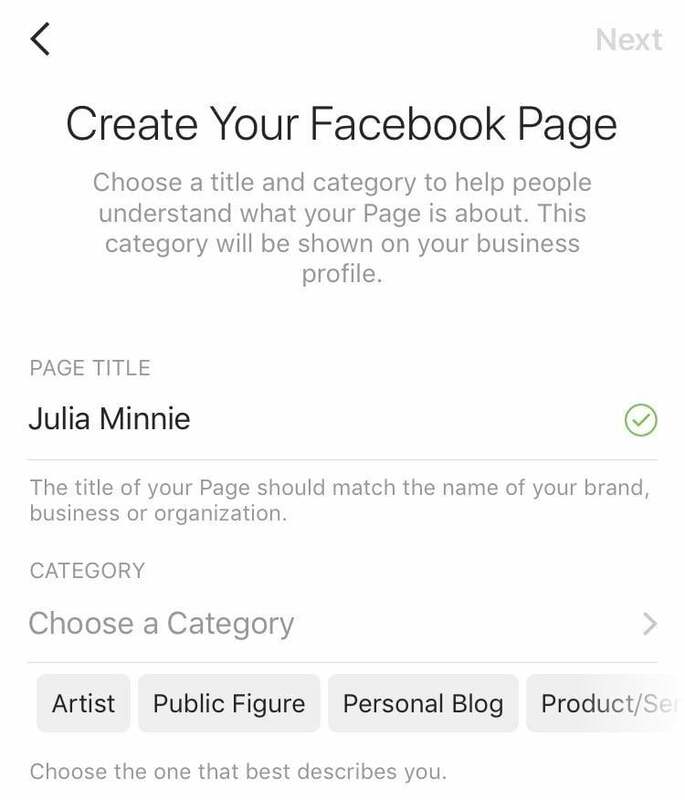 Specify the data that you consider useful for communication with your future Instagram audience. It all depends on the purpose of your business account and how you are going to sell products/provide services. Remember that you must have at least one ‘Contact’ button on your page (email or phone number). Click ‘Done’ and here we go! 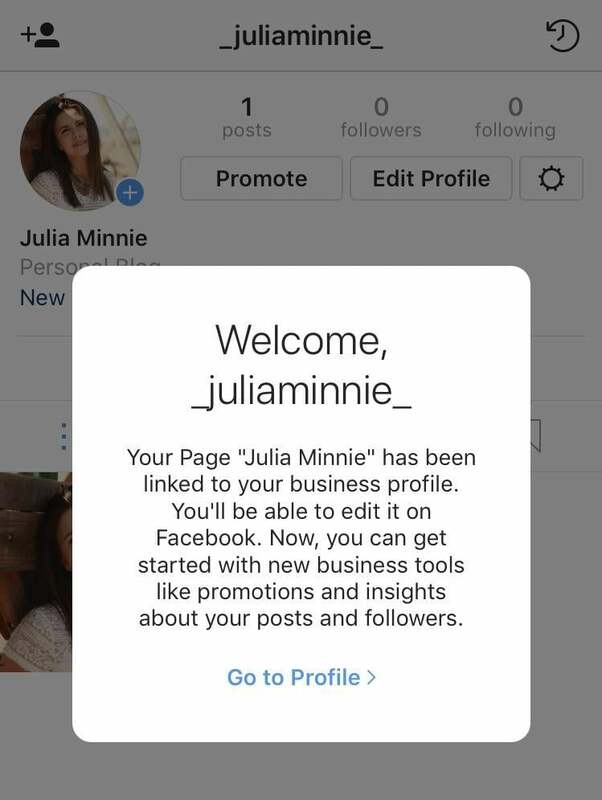 You just created a business account on Instagram. Now let’s see how to use your Business Profile features with to the maximum. So, you just filled in the sections with your email, phone number, and address. 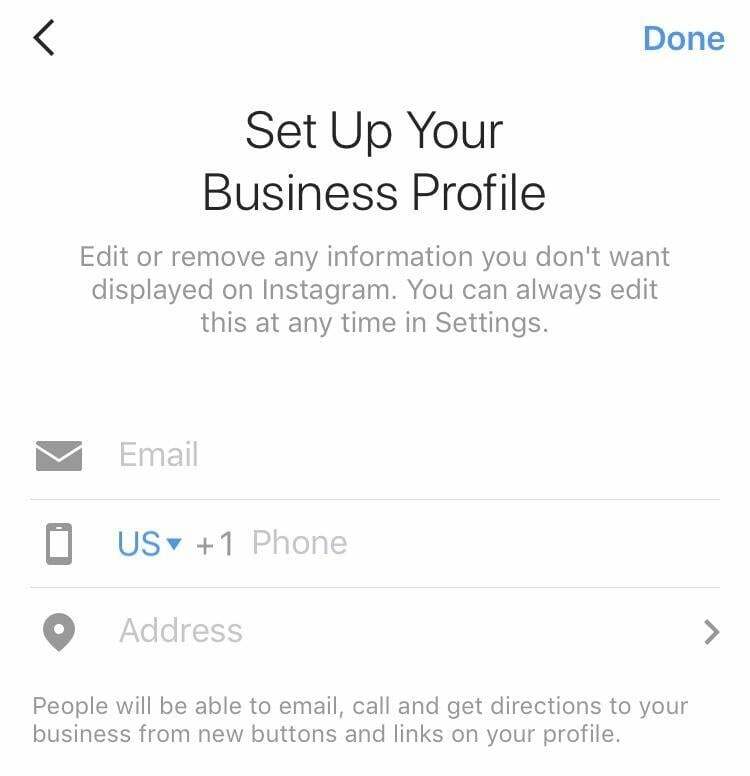 This option allows customers to contact you directly from Instagram or find the address of your business on the map. Look at my example. Currently, I have email and my address included on my Instagram profile. Although there are five types of buttons, you can use – Call, Directions, Email, Message, Online Store. You can promote your publications to the selected audience using such parameters as age, gender, location, and interests. You can specify which category your business profile belongs to. It can be a personal blog, a product/service, art, a public figure, an artist, etc. The category is displayed in your Instagram bio. You can always change one in the ‘Edit Profile’ section in the category ‘Business Information’. This feature is just a BOMB. It was launched globally only at the beginning of 2018 but already created a lot of noise. Instagram Shopping is a separate section in your business profile with photos of your products/services. With the help of this feature, you can tag products/services with their prices and descriptions right on the image. After the person clicks the product’s description, he will be transferred to the product web page of your online shop. Currently, Instagram changed the way how users see the prices. 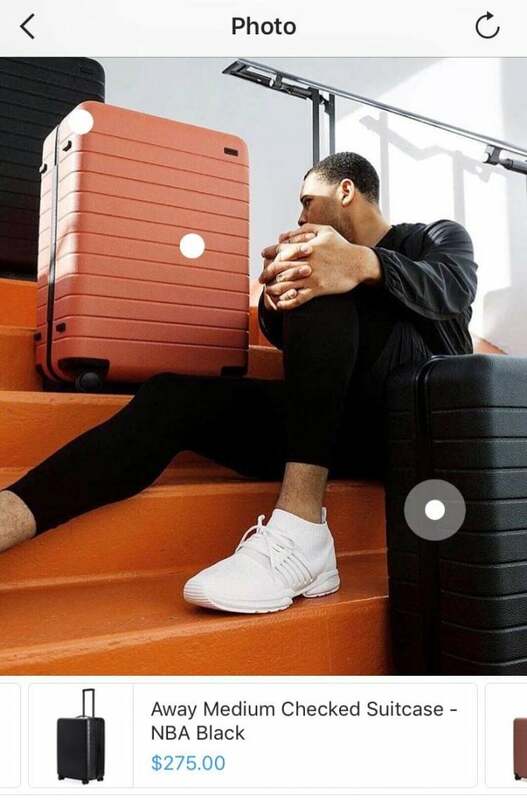 It used to look more like you tagged a product on the photo but now it’s different. Because I do not have a shopping profile, just look at the example of the Away Instagram shopping account. People have a full-pledged shopping experience directly from Instagram. Hence, it’s a cool tool that does increase the number of sales and profits. Even if your business is not an online store, you can use this instrument for other purposes. For instance, if you are a photographer, event manager, wedding decorator, etc., you can too feature the prices of your products/services on your photos. But this is not the end … Here comes more. 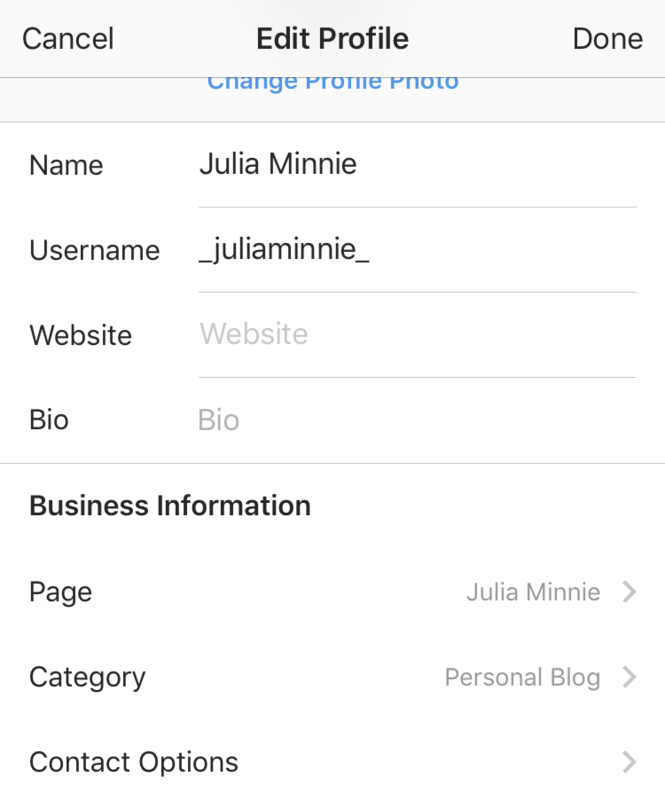 The newest feature for business profiles was announced in the Instagram Business Blog on January 30, 2018. It allows businesses to schedule posts through paid third-party tools, like HootSuite, Sprout Social, SocialFlow or other companies with implemented Instagram API. Now Instagram SSM managers can make extensive content plans and schedule posts like they used to do on Facebook and Twitter. 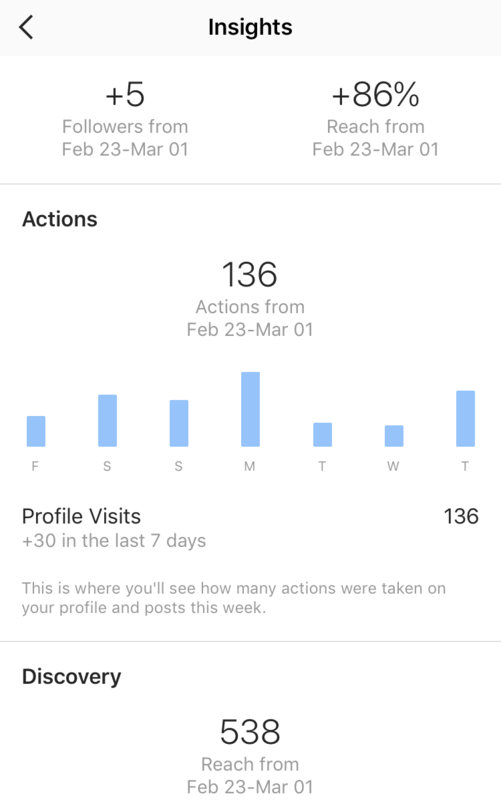 How to Use Instagram Insights? Instagram Insights is a powerful tool that collects valuable data about your account. You will know everything that is going to happen on your business page. Well… almost everything. To see your statistics, click the button I circled in red in the image below (sorry for my “excellent” screenshot editing skills). What information do Instagram Insights give you? Important reminder. Insights are only available for posts and stories that you published after transferring your Instagram account to a Business Profile. General information shows the insights of your account for the week: impressions, actions, profile visits, discovery, clicks on the buttons. 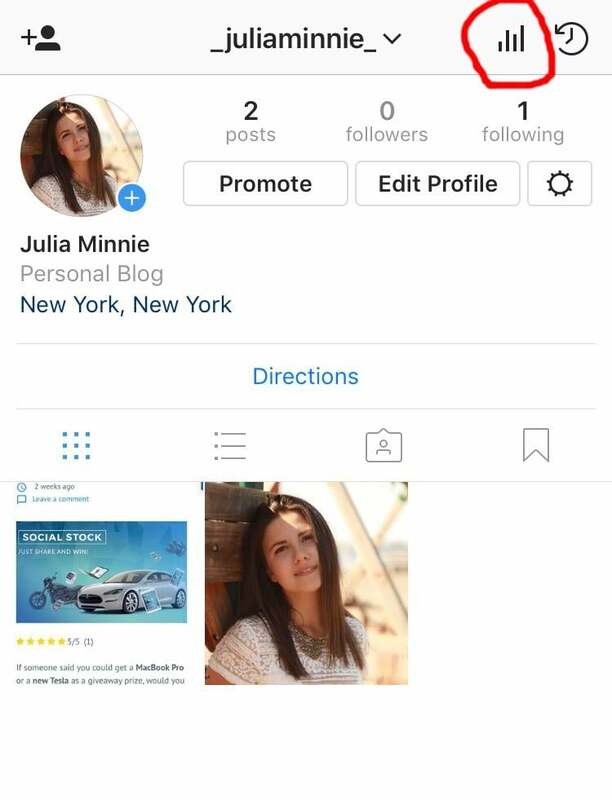 So now you know not only how to create a business profile but also how to use the Instagram instruments for your business promotion. All the functionalities mentioned above can help increase the number of customers and boost your profits. And you better start acting right now! 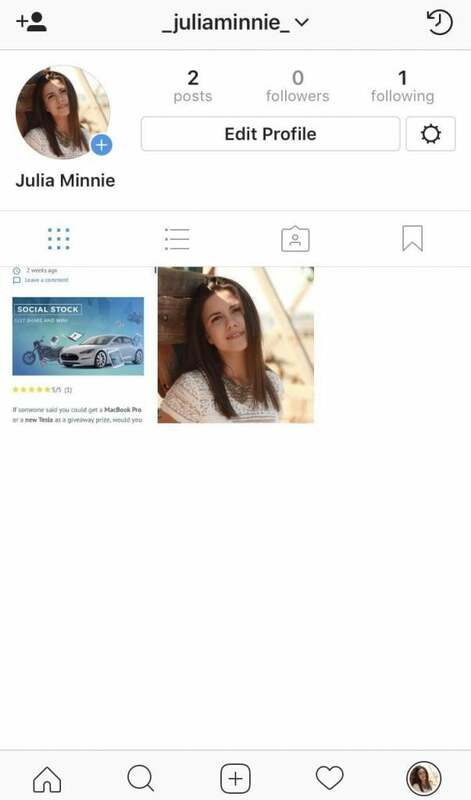 Did you manage to switch your account to a business profile? What functions did you use to promote your Instagram business account? I am welcome to questions, so feel free to ask in the comment section.